A review of performances and projects in 2017 and our 2018 plans. 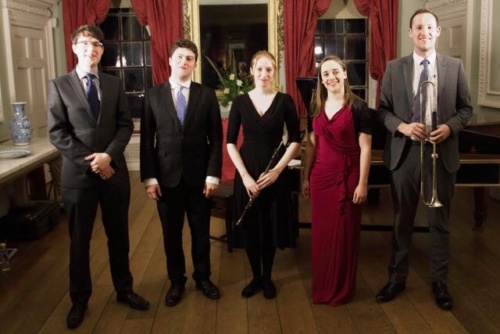 There have been many musical highlights in 2017 for Eboracum Baroque with exciting concerts, recordings and education projects. Here’s our review of our year and announcing some of our events for 2018. 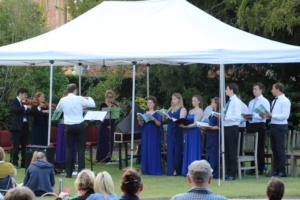 We began in March with concerts at Moyse’s Hall in Suffolk and at Wimpole Hall in Cambridgeshire. 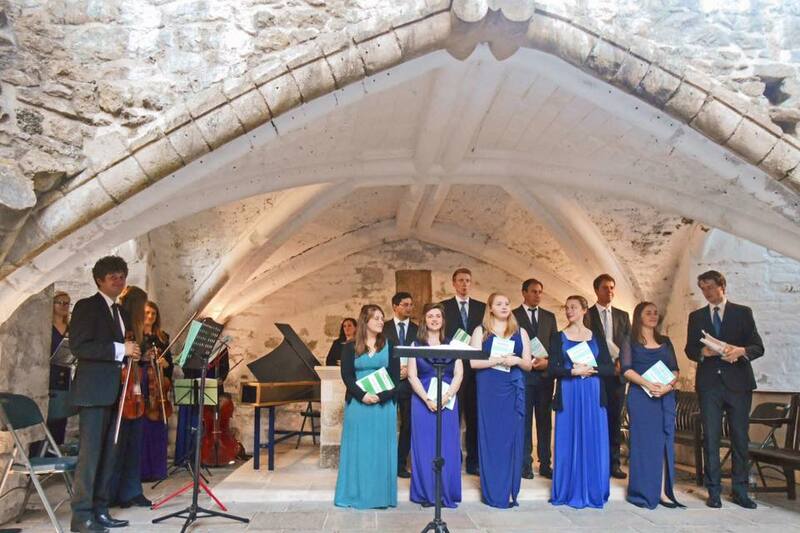 Both concerts were tailored to be unique to the area focussing on local composers who were both celebrities of their day in their respective areas. Joseph Gibbs, in Suffolk and Thomas Tudway in Cambridge. We featured the virtuosic Violin Sonatas of Joseph Gibbs in Suffolk, performed by the violinist, Alice Earll and recorded 4 of the excellent works in April 2017 for release later in 2018 with Resonus Classics. 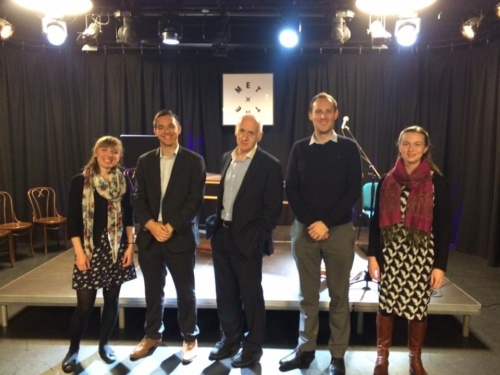 Our thanks to Suffolk Archives who have made this unique project a reality. Read more in a previous blog post. At Wimpole Hall our programme was centred around the Harley Manuscripts which Tudway created whilst working there. We performed a wide variety of music from these manuscripts including by Handel, Croft and Tudway himself. Alongside this we read excerpts of letters that Tudway wrote to Wimpole’s librarian updating him on the developments of the amazing musical collection that he put together. We were delighted to return to the fantastic acoustics of Canons Ashby Priory in May to perform a programme featuring Handel’s Water Music and Purcell Songs to a sold out audience. June saw the first of three performances in 2017 with the Horrible Histories author, Terry Deary with our popular programme, The Gorgeous Georgians, a fun and accessible look at Georgian England interspersed with some of Handel’s greatest hits. It was a pleasure to visit Gibside Chapel National Trust for the first time just outside Newcastle where we added an extra sold out performance! We are very excited about what 2018 holds as it marks the 25th anniversary of Horrible Histories and we have some great events planned to celebrate this. Education plays a major part in our output and we are delighted to be involved with the fantastic Isle of Ely Arts Festival. 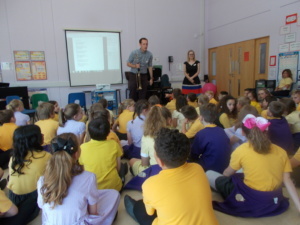 As part of the festival we received Arts Council funding which allowed us to roll out ‘The Spirit of the Fens’ project across schools in East Cambridgeshire. It featured a new vocal commission by the composer, Nils Greenhow focussing on the landscape and wildlife of the fens and also a baroque slant with Handel’s Water Music, an apt piece for this part of the world. It was extremely rewarding to bring nearly 300 children together at Ely College to perform this new vocal piece and introduce children to Baroque instruments and music. We look forward to our project in 2018 ‘The Changing Seasons’ which will feature a new vocal commission alongside Vivaldi’s Four Seasons. As part of the 2017 project we gave a performance of Handel’s Water Music in Ely in collaboration with the Ely Gin Company who provided themed cocktails and mocktails in the interval for the audience and we look forward to developing this collaboration next year too. We celebrated our 5th anniversary as an ensemble with two performances of a work that we performed very early on in the ensemble’s lifetime, Purcell’s Dido and Aeneas. 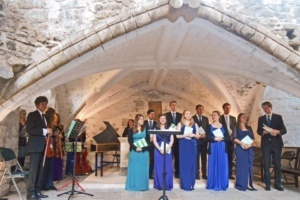 There were two atmospheric venues for the performances, firstly the beautiful gardens at Wimpole Hall in the summer sun and then in the wonderful setting of the Lady Chapel at Glastonbury Abbey. We paired this great work with a reduced performance of Purcell’s Fairy Queen, again featuring so much brilliant music. After a break in August (a month of great planning!) we performed two sold out performances of our Gorgeous Georgians programme at The Met Theatre in Bury with Terry Deary. It is always a great pleasure to perform with Terry, lots of fun and accessible to all ages with interesting and gruesome facts from Georgian England and some of the best music from that time too. 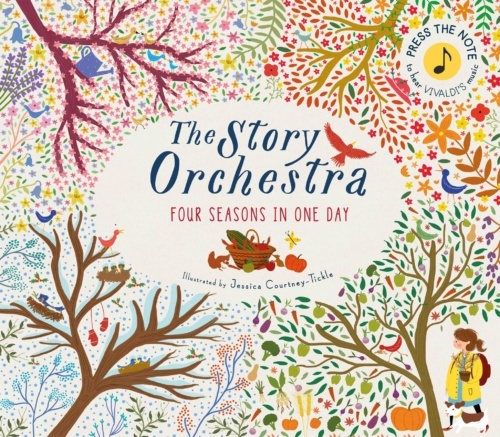 We had 6 concerts across the festive season – all of which sold out! 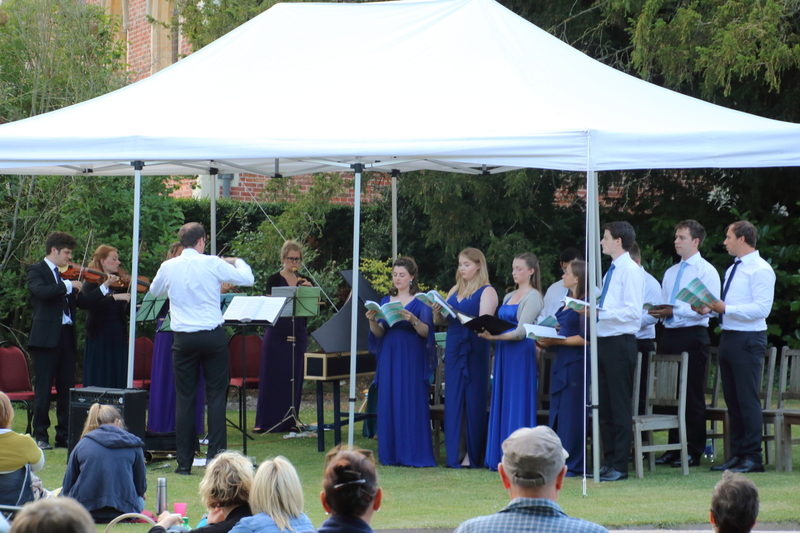 These included Elizabethan themed programmes at Oxburgh Hall and Canons Ashby Priory particularly featuring the works of William Byrd (Four Part Mass and Advent Music) and then our two major performances of Handel’s celebrated oratorio, Messiah. We thoroughly enjoyed a return trip to the beautiful Great Malvern Priory. A perfect place for Eboracum to perform. The audience were hugely appreciative and we are always grateful to receive a standing ovation! 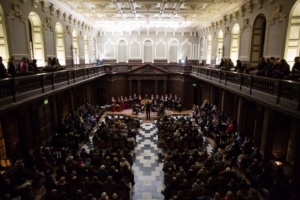 We continued with our Messiah performances in the historic Senate House in Cambridge. 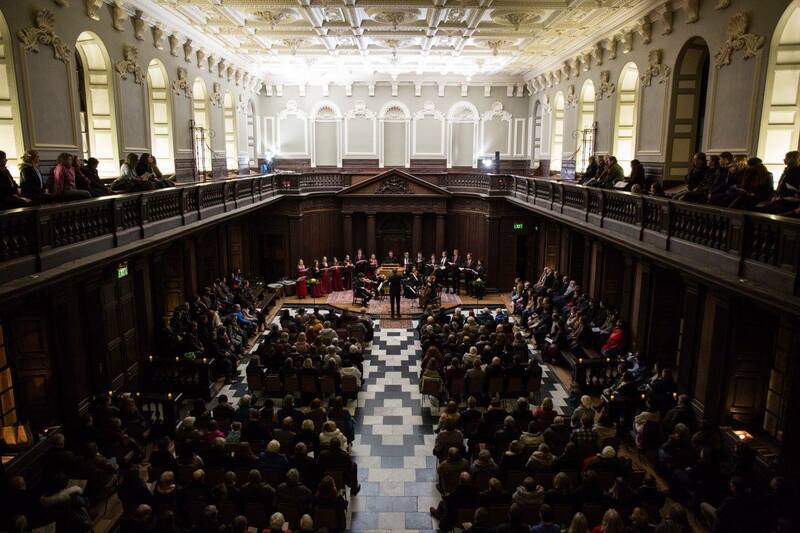 This was a stunning venue to perform in (see pictures here) and particular thanks to the University of Cambridge for the permission to use this majestic building. It always feels like there are new possibilities for the piece and we try and bring new life to it each time. The concert at Senate House on 9th December was in memory of my Mum, Elizabeth Parsons who very sadly passed away on 3rd December. She loved watching Eboracum Baroque particularly the performances of Handel’s Messiah at Christmas. She was a constant support for everything I did and I will miss her so much. She fought so strongly against her cancer and it is for this reason that as an ensemble we will always support Cancer Research UK and also Bury Hospice for the amazing work they continue to do. Our concerts for 2017 concluded in the Baroque chapel at Wimpole Hall with a programme of festive Baroque music including a full performance of Bach’s joyous BWV 51 – Jauchzet Gott in allen Landen. The chapel is an ideal acoustic for Baroque chamber music and was even more resplendent than usual, as was the whole hall with festive decorations. And what for next year?! We will be announcing more plans for 2018 soon but it will include a performance of Handel’s Oratorio, Semele in the gardens of Wimpole Hall on Saturday 30th June, 7pm. 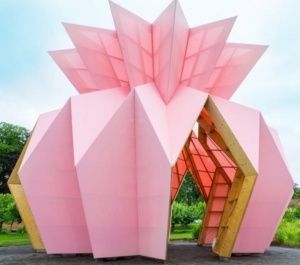 We will give a number of concerts at other National Trust properties too including Berrington Hall, where we had the pleasure earlier this year performing in the remarkable Pineapple Pavillon. 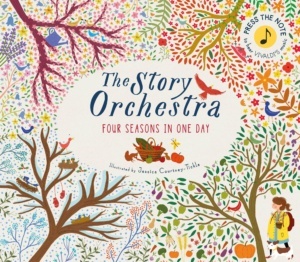 We have some exciting education projects planned including ‘The Story Orchestra: Four Seasons in One Day’ where we will be working with the illustrator, Jess Courtney-Tickle on an arts, crafts and music based workshops including performances at Benslow Music and Stapleford Granary. We are also excited to be working with St Catherine’s College Girls Choir, Cambridge and St Mary’s Girl’s School Chamber Choir in a unique performance of Vivaldi Gloria in Clare College Chapel on Saturday 3rd February. Click on our events page to see further details of all upcoming concerts. 2018 marks the 25th anniversary of Horrible Histories too and we have events in Lancaster, Halifax, York and Edinburgh planned with Terry Deary. We are also starting work on our next major recording project which we will start to take more shape in the second half of 2018. It leaves me with just a few people to thank. Firstly to all the wonderful musicians who have been involved with Eboracum this year – it is a pleasure to lead so many talented performers. To the National Trust and the other companies, venues and festivals we have worked with for all their help and continued support, we are looking forward to another exciting year of collaborations. Finally to you, for being our audience and supporters! With out you we would not be where we are and we look forward to welcoming you to more memorable performances in 2018. Merry Christmas and a Happy New Year!